Checking in at our dedicated counters is practically seamless. We have designed the check-in journey to be smooth, fast and punctual with one objective in mind is for you to worry less. Smooth and seamless, we have made our check-in process literally a fly through. Whether travelling for business or simply want to have a nice holiday with the family, you are sure to check-in stress free. You can check-in online between 36 hours and 3 hours prior to your flight departure time, you can also select your preferred seat during the online check-in process. Please read the below information. 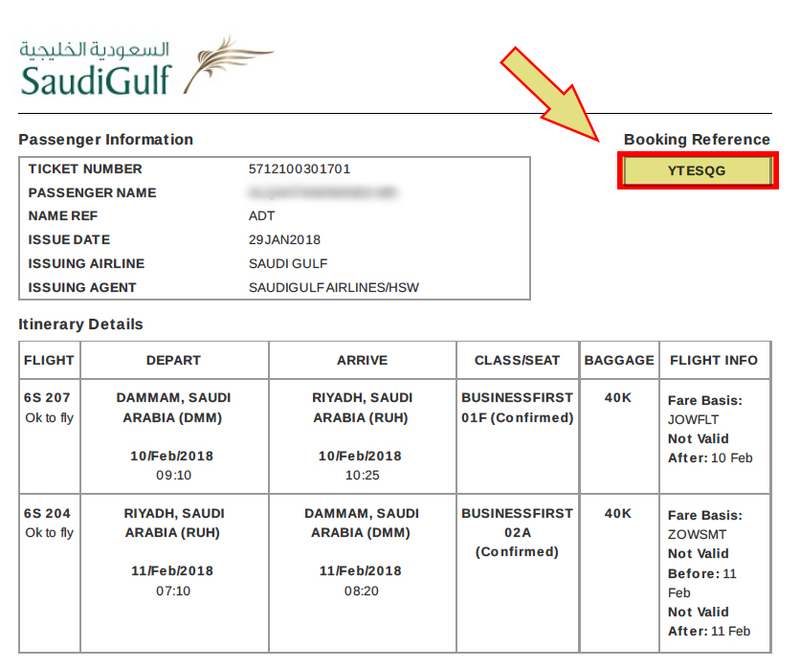 - Visit the online check-in window on our website and enter your details such as your last name and the SaudiGulf’s booking reference PNR. (The PNR contains a 6 characters and it can be found in the SaudiGulf e-ticket). - If you've already checked in, you can print your boarding pass by entering your details in the online check-in window on our website. - For the passengers with checked baggage, please arrive at the airport at least 90 minutes prior to flight departure time for the domestic flights and 120 minutes for the international flights and visit our check-in area to allow sufficient time for baggage processing. - All passengers must arrive at the boarding gate at least 45 minutes prior to departure. Our boarding gates close 20 minutes before departure. - Check-In Counter closes 45 minutes before your flight departure time for the domestic flights and 60 minutes for the international flights. - Once you have checked in and have received your boarding pass, you will not be able to make any changes online through our website. - You will be required to present this mobile boarding pass at the airport security, check-in and boarding counters. Please take a screenshot of this mobile boarding pass or send a copy to your email. -Your Boarding Pass needs to be carried along with your travel documents ( National ID / Passport ) to gain entry into the departure area of the airport, as well as the aircraft.